A few weeks ago, I wrote a post about how I'm pro-Ted & Robin on How I Met Your Mother, so I'm going to try to be objective while I discuss why Robin & Barney was, is, and always will be a bad idea. From the get go, I was never on board with the Robin and Barney pairing because it just didn't make sense to me. I know that Team BRomance claim that they were destined to be with one another since season one since they both had a thing for dressing up, smoking cigars, and drinking scotch, but that wasn't enough to convince me that they're soulmates. Just because you have similar interests does not mean you have enough to have an entire relationship (which I know kind of contradicts what I wrote about B&B). The main reason I'm against Barney and Robin is because it's always felt forced. Most of season 1 was dedicated to Ted and Robin figuring out their feelings for one another, and Barney was only supposed to be a roadblock, but somehow people really thought these two belonged together. Now, maybe the creators always had a Robin/Barney pairing in mind, but they've never really done a good job at setting it up. 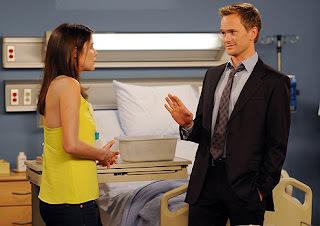 Now, I'm hoping that the creators will ultimately put Ted and Robin together even though she's not the mother, but I'm willing to wait for that moment just as long as I don't have to endure another attempt at putting Robin with Barney.